Solara comes as the first Smashing Pumpkins release in 18 years that features three members of the band’s original incarnation. After reforming last year, it’s safe to say the anticipation this carried was palpable amongst die-hards and casuals alike. Solara most certainly taps into the band’s heavy 90s roots, but fails to go that step beyond what feels familiar into a territory of excitement. The first aspect that jumps out at most listeners is the prominence of vocalist Billy Corgan’s voice. It juts out surprisingly—some might say a little like a sore thumb. This is not to say his prowess is lacking; it’s just that its placement in the mix by comeback producer extraordinaire Rick Rubin (Black Sabbath, Metallica, Billy Corgan’s recent solo record) feels awkwardly domineering. It’s certainly mixed in louder than it has been in the past, leading to an imbalance between vocals and music. This might not be an issue, however, as the music itself is hardly notable either. The verses are led by simple muted chords with the occasional strum, moving into louder choruses not much more complex in their sound. There’s no issue with the straightforward, but in Solara‘s case it doesn’t seem to be doing many favours. It’s not enough to keep the listener engaged, with their attention having to be diverted to the words. Speaking of which, the most redeeming feature of the track is the ambiguity of the lyrics. They are expressive without being melodramatic, and the rhythmic repetition of “nothing but a body in my mind” is a earworm-y hook that gets you in. Perhaps a comment on Corgan’s existence in the media as a result of fame or perhaps something else altogether—it’s always nice to get words that make you think. 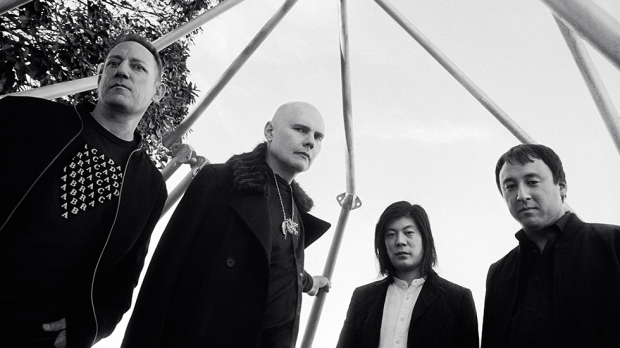 It is clear The Smashing Pumpkins are trying to hang onto that nostalgic sound that all classic bands are coaxed into redeeming, but their execution just hasn’t cut it for many. With better mixing and maybe a little more of the surprise factor, this could’ve been a hit.